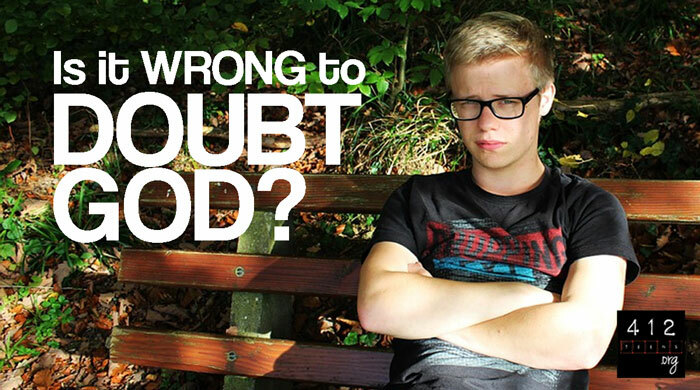 Doubt is one of Satan's favorite ways to turn people away from God. He used it on Adam and Eve (Genesis 3), and he uses it against us all the time. One sneaky trick Satan knows is that if he plants a single seed of doubt in a person, that individual can allow it to grow without the Devil lifting a finger. Because of that, doubt really comes from two sources—Satan and ourselves. When it comes to faith, "having doubt" is not the same as "having questions." Everyone runs into moments when things don’t make sense. Even the most faithful person will sometimes look at the Bible, or life, or their own experience, and say, "I don’t get it. How can that be true?" "Questions" are a good thing, since they help us prove that God's Word is true. Some people questioned the apostle Paul, and the Bible congratulated them for it (Acts 17:11)! We're actually supposed to have questions about faith issues (1 John 4:1). It's the only way we can tell the difference between what's right and what's wrong (1 Thessalonians 5:21). The Bible allows us—commands us, actually—to test and examine our faith to see if it's the truth (2 Corinthians 13:5). "Questioning" is fine, but "doubt" is not. We need to trust that God's going to provide an answer, and look for it. When we doubt, we're being unreasonable! We're saying, "If I don’t understand, right now, then there can't be an explanation." Since we’re not all-knowing, that's a pretty bold attitude! This is why we'd say that "questions" are a part of faith, but "doubt" is something that comes from Satan. Once doubt is placed firmly in our minds, it's hard to quash. If you're noticing bits of doubt in your thinking, then you should take action as soon as you can. The best remedy for questions, even if they've already turned into doubt, is prayer and Bible study. The more focus you have on God, the less focus you'll have on the world, and the stronger your faith will become. Also, something to seriously consider is the people you're hanging out with. If someone is causing you to doubt—to be unreasonable or unfair in how you look at your faith—then stay away from that person as much as possible. Even if your reasons for staying are good (like you're trying to witness to them) you could eventually become a hypocrite by preaching God's Word with the mindset of doubt. In the Bible, we can read about many men and women of God who experienced doubt. Most famously is a disciple named Thomas. He was very close to Jesus, but after Jesus was crucified and buried, Thomas doubted Christ's power to return from the dead. All of the other disciples said they'd seen Jesus. But Thomas said he would only believe if he could see the holes in Jesus' hands and be able to touch the wound on His side. That's a pretty extreme skepticism. Thomas didn’t have "questions," in that moment. He had spiritual "doubt." When Jesus returned, He said to Thomas, "Have you believed because you have seen me? Blessed are those who have not seen and yet have believed" (John 20:29). Jesus's reply refers to US—those in the years to come who would never see Jesus in the flesh on Earth, yet they would still believe in Him. This kind of faith can be difficult. Most people will doubt God at some point or another, but that doesn't mean we can't learn to believe without seeing everything. Faith, like any other endeavor, takes intentional practice and patience. How do I overcome my doubt? Even the most faithful Christian may struggle with doubt on occasion, just like the man who asked Jesus to heal his son in Mark 9. Jesus told him, "All things are possible for one who believes" (v. 23). The father cried out, "I do believe; help me overcome my unbelief!” (v. 24). Do you ever feel that way? You know in your heart that something is true, but you're having a hard time convincing your brain? Or, can you see the evidence of truth in something, but your emotions and heart just won’t leave you alone? Combating doubt may seem hard, but the keys are faith and trust, which go hand in hand. When we overthink our worries or become anxious about ALL THE THINGS, then we begin to throw a shadow over our trust that God will help us through it all, and sinful doubt is all we're left with. No matter how logical our reasons may seem, God still knows best (1 Corinthians 1:20). Sometimes trusting God seems foolish in the light (or darkness) of life's problems, but His plans are far wiser than ours. Faith is trusting God even when His plan goes against human reason or experience. That's what the Bible's concept of "faith" really is: relying on what we do know to get us by when faced with something we don't know (Hebrews 11:1). It's not blind; real faith "questions," but it is not meant to "doubt." How do I strengthen my faith? To strengthen your faith, dedicate yourself to regular Bible study and talk to God on a regular basis about ALL THE THINGS (Romans 10:17). God gave us the Bible to show us how He was trustworthy in the past so we can trust Him today (Psalm 77:11). If we understand how God works with those who trust Him, then we can begin to trust Him with our own life situations. You may be amazed at how quickly you turn back to God. If you think there's even a chance you're doubting God's sovereignty or trustworthiness, then start fighting against it before you lose sight of your Savior. "He who doubts is like a wave of the sea, blown and tossed by the wind" (James 1:6). It's OK to ask questions, but whatever you do, never give up on God, because He will never give up on you! When it comes to faith, "having doubt" is not the same as "having questions." Everyone runs into moments when things don’t make sense. "Questions" are a good thing, since they help us prove that God's Word is true (Acts 17:11; 1 John 4:1). It's how we can tell the difference between what's right and what's wrong (1 Thessalonians 5:21). The Bible actually commands us to test and examine our faith to see if it's the truth (2 Corinthians 13:5). "Questions" are a part of faith, but "doubt" is something that comes from Satan. Strengthen your faith through talking to God, studying His Word to learn more about Him, and discussing your faith with other believers (Romans 10:17). 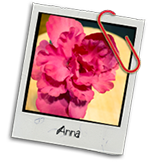 Anna's passions in life are God and writing. She loves reading, hanging out with family and friends, and playing with her adorable dogs. Anna is always excited to travel to new places and will never miss an opportunity to be random. She gets super excited for anything pink and fluffy, and sparkles are always an added bonus! 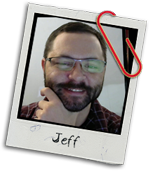 Jeff is a staff writer with Got Questions Ministries and used to be a mechanical engineer. When he's not accidentally setting things on fire in his workshop, or petting strange dogs, he loves helping people better understand God’s Word and how it applies to our lives. Jeff's calling is to untangle the "big picture" of Christian faith, making it easier to understand.